Mechanical activation-assisted self-propagating high-temperature synthesis (MA-SHS) in air was successfully applied to the synthesis of the powder mixtures of ZrB2 and ZrC as a precursor of the ZrB2–ZrC composite. When the powder mixtures of Zr/B/C = 4/2/3–6/10/1 in molar ratio were mechanically activated (MA) by ball milling for 45–60 min and then exposed to air, they self-ignited spontaneously and the self-propagating high-temperature synthesis (SHS) was occurred to form ZrB2 and ZrC. The ZrB2–ZrC composites were produced from these MA-SHS powders by spark plasma sintering (SPS) at 1800 °C for 5–10 min and showed the fine and homogeneous microstructure composed of the <5 μm-sized grains. The mechanical properties of the composites evaluated by Vickers indentation method showed the values of Vickers hardness of 13.6–17.8 GPa and fracture toughness of 2.9–5.1 MPa·m1/2, depending on the molar ratio of ZrB2/ZrC. Thus, the better microstructure and mechanical properties of the ZrB2–ZrC composites were obtained from the MA-SHS powder mixtures, compared with those obtained from the MA powder, the mixing powder and the commercial powder mixtures. 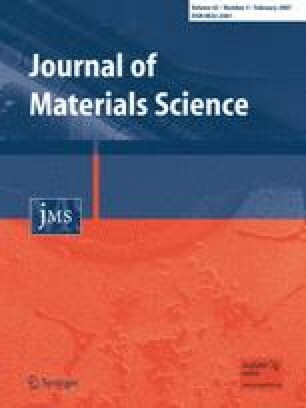 The authors gratefully acknowledge support for this research by a Grant-in Aid for Scientific Research (C) (KAKENHI 14550797)) and by Nippon Sheet Glass Foundation for Materials and Engineering, and also the help received from Dr. K. Kurokawa with SPS experiments.